The growth of ear hair in older men is the result of age-related rising testosterone levels. 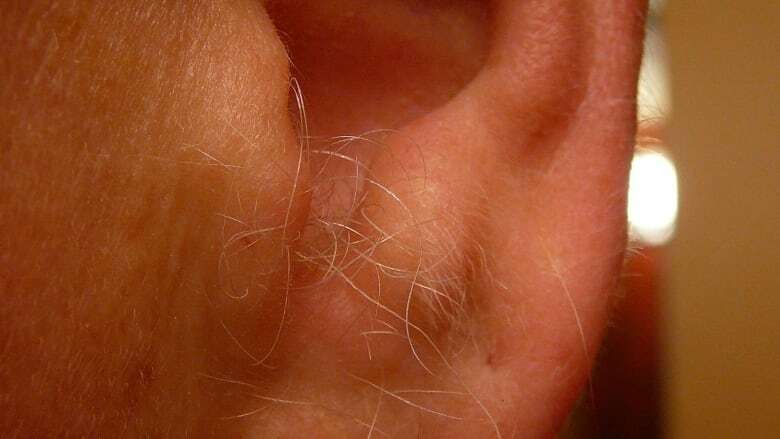 Dr. Lisa Kellett, who runs a dermatology clinic in Toronto, explains that the growth of ear hair in elderly men is the result of rising testosterone levels. Testosterone is accumulated over a lifetime and levels continue to rise unopposed to estrogen levels with age. The testosterone acts on hair follicles in the ear, as well as other areas such as the nose. The follicles then become primed to grow more thick hair as a result. On the scalp, testosterone causes a miniaturization of hair. This means that hair on the head is not necessarily lost, it simply becomes finer.